All the electronics for the smart functionality, including sensors, a small display and a battery, are contained within the clasps of the Sony Wena straps. 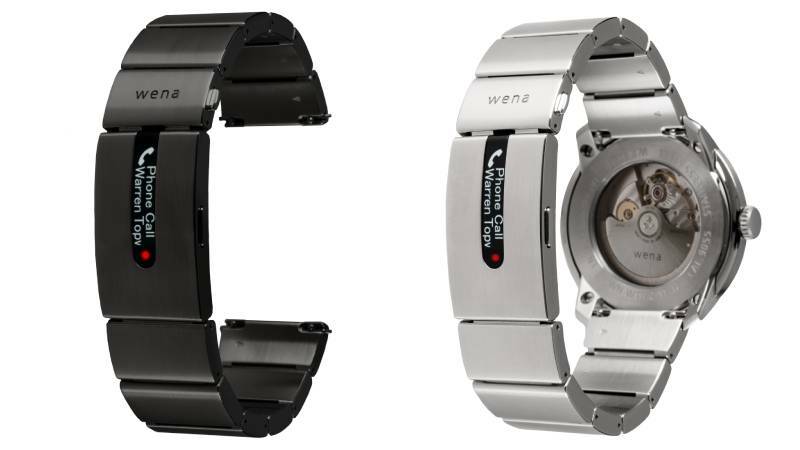 The two models are different in terms of features as well as looks – the Wena Active includes a GPS receiver and heart rate monitor, and can be worn independently just like a fitness tracker, including while sleeping. However, both versions can track steps taken and calories burned.